Here's your front-row seat to music history as members of the cast of Cleveland Play House's "Marie and Rosetta" perform live in ideastream's Key Bank Studio on 90.3 and Facebook Live. Written by Cleveland Heights resident George Brant, "Marie and Rosetta" is a story of finding your voice and freeing your soul. 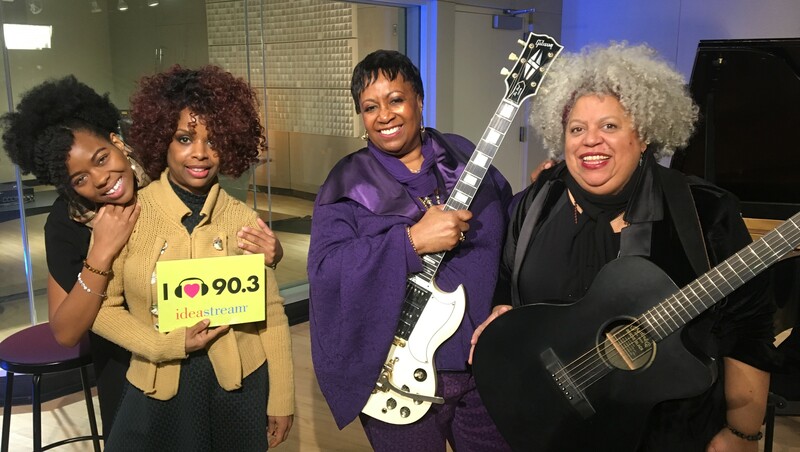 In the play, Sister Rosetta Tharpe, "the Godmother of Rock n' Roll" and 2018 Rock and Roll Hall of Fame Early Influence Inductee, plucks prim-and-proper Marie Knight from a rival gospel show. The two challenge one another on music, life, and the Almighty. This studio performance features two of the play's stars, Miche Braden and Chaz Hodges, as well as pianist Katreese Barnes and guitarist KJ Denhert. They perform some songs from the show and give some insight into this Cleveland Play House production.